Full-time and part-time employees at WPI enjoy access to healthy opportunities and incentives, including fitness classes; wellness activities (chair massage, drop-in meditation sessions, Weight Watchers meetings); fitness incentive programs and reimbursements; and casual intramural sports teams. Have fun while getting in shape. Classes meet in Schwaber Dance Studios A & B, Sports & Recreation Center. Each term begins a new session of classes. Price is determined by number of participants. Equipment: mat, weights, water bottle. A registration and liability form (PDF) must be signed and on file. Contact Diane O'Keefe for more information. Get fit with dance! Classes for employees and grad students meet in Schwaber Dance Studio C, Sports & Recreation Center. No partner needed, type of dance changes by term. A registration and liability form (PDF) must be signed and on file. Contact Sira Naras for more information. Have fun while getting in shape. Classes meet in the Schwaber Dance Studios A & B, Sports & Recreation Center. Each term begins a new session of classes. Price is determined by number of participants. Equipment: mat and water bottle. A registration and liability form (PDF) must be signed and on file. Contact GlorieAnn Minnich for more information. Classes are usually held in Schwaber Dance Studios A, B, & C, Sports & Recreation Center, participants are notified if location changes. Benefit from greater flexibility, strength, balance, and stamina. Yoga may also reduce anxiety and stress, improve mental clarity, and aid sleep. Cost is determined by number of participants. Because of high volume of enrollment, you’re encouraged to register early. A registration and liability form (PDF) must be signed and on file. Contact Barbara Milanese x5538 for more information. Fitness incentive programs. * Tufts Health Plan members are eligible for reduced costs or reimbursements on health club memberships, WPI Lunchtime Fitness classes, Weight Watchers, and other weight loss centers. To learn more, visit the Tufts website or view its reimbursement form. Worcester Fitness. * WPI employees can take advantage of deeply discounted membership rates at Worcester Fitness locations. Simply let them know you are eligible for the discounted rates as a WPI employee, and provide your ID. Rates are $45 per month for a single membership, $70 per month for a couple, and $99 per month for a family. Intramural sports. Faculty and staff members can get back in the game with a wide variety of intramural sports. Chair Massage. Reduce stress with a chair massage provided by a licensed massage therapist who is on campus once a month. Cost is just $1 a minute. Contact Cathy Cocaine to schedule a massage. Drop-In Meditation. The Student Development & Counseling Center (SDCC) offers periodic drop-in meditation sessions for students, faculty, and staff at its 16 Einhorn Road location. Contact the SDCC by email or by phone at 508-831-5540 for more information. 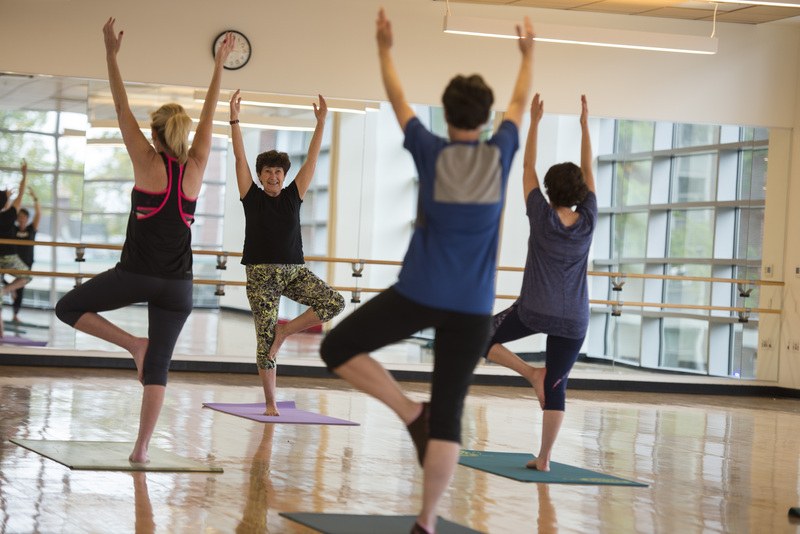 * Tufts Health Plan will reimburse $150 per calendar year for fees for Cardio, Dance, Barre, Yoga, gym memberships or attendance / participation in Weight Watchers programs. These reimbursements need to be completed by the participant directly with Tufts. Processing by Tufts can take up to 8 weeks. If you have another carrier, check to see if it offers incentives. For more information, contact the Division for Talent & Inclusion. For nearly five decades, the Footpounders Running Club has welcomed runners of all abilities to join them in the pursuit of health. From novice joggers to marathon runners, they have a love of running and a bond of friendship. Many Footpounders say the club has given them a sense of family at WPI. Keep up with our latest news by following our healthy tweets @WPIHR.